Boys accepted into Aitchison College agree to take part in a broad and challenging curriculum.While very good academic results are expected, so too is engagement with sports, clubs and activities. It is a condition of enrollment. 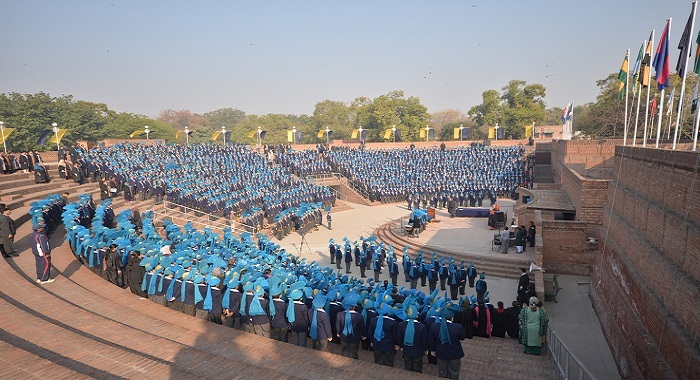 For well over a century, Aitchison has produced leaders of all kinds and focused on the building of character. Originally a school for the sons of nobility, in its modern form the College is representative of Pakistan but no less committed to its foundation principles encapsulated in the motto: Perseverance Commands Success. Aitchison College may be defined as a blend in ritual and modern necessity. Its history speaks to each boy and commands respect. It inspires and delivers a strong message that each must play his part in a special, unfolding story. An Aitchison education is for life.